Watching the Amazing Race Canada Iqaluit episode. 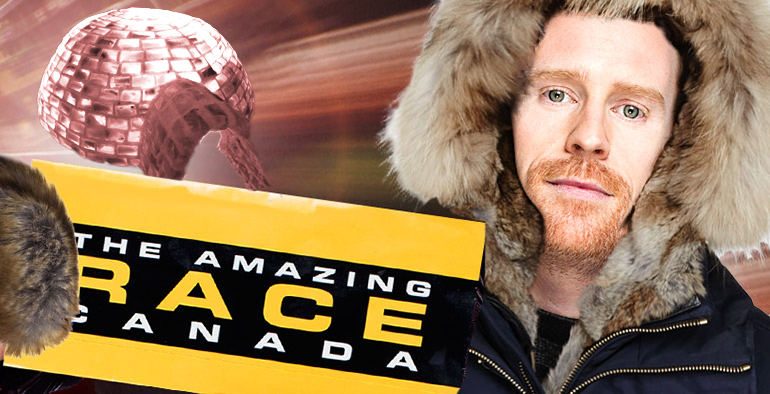 Unlike its globe-trotting American counterpart, Amazing Race Canada was not exactly covert with its Canada-specific filming. Perhaps the larger cities offered a bit more anonymity, but in Iqaluit almost everyone knew CTV had come to town. Maybe this was a smart move by producers, because it definitely added local anticipation as we watched the season unfold within our nation’s border. 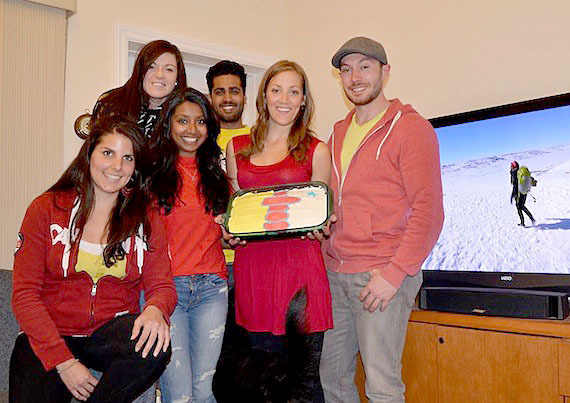 If you haven’t yet seen the Iqaluit episode of Amazing Race Canada, you should. You can view it here. Iqaluit’s time in the national spotlight was an entire 60 minutes, and boy did she shine. Filmed on a bright May day, sweeping panoramas illustrated the untamed glory of the Arctic tundra. The producers also integrated aspects of Inuit tradition and culture in a way that was tasteful and exciting. The challenges the contestants had to complete weren’t easy: translating a phrase from Inuktitut to English, building an igloo, successfully throwing a harpoon, eating local country food, and even walking through the knee-high snow are definitely difficult tasks. For example, trying to make an igloo without knowing the main trick (build it in a spiral, not in layers) is near impossible. However, these were not quite everyday activities. As they did in every location, the show’s producers chose activities that exemplified the territory or province, rather than revealing residents’ everyday experiences. Navigate potholes in a sedan. Get into the Legion on a Saturday night without a membership. Buy dinner for 4 at North Mart with $30. Bonus if none of the food is spoiled. Win a driveway shovel-off against Polarman. Learn all the words to “Mamaqtuq” by the The Jerry Cans. Book an Aeroplan flight to Ottawa in December. Speedbump: Cover a set of windows in tinfoil. Do you have suggestions for other real-life northern challenges? Or have you gone through some of these trials yourself? Comment below or get at us on Twitter!